Chanteur Rockabilly US né en 1937 à Philadelphie, Pennsylvanie. Warren Miller a enregistré à la fin des années cinquante chez United Artists Records. Il a aussi enregistré sous le nom de Chris Kevin chez Colt 45 Records de Washington (District of Columbia) en 1959. US Rockabilly singer born in 1937 in Philadelphia, Pennsylvania. 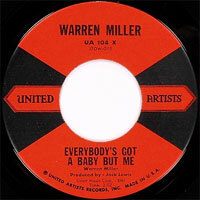 Warren Miller recorded at the end of the fifties at United Artists Records. 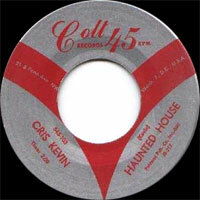 He also recorded under the name of Chris Kevin Colt 45 Records in Washington (District of Columbia) in 1959. 1959 SP COLT 45 S45-103 (US) .